WordPress is a clutch tool for most bloggers, as its easy-to-use, versatile interface provides essentially everything one needs to get content on the internet. For the longest time, however, the associated app hasn't been the greatest thing to use (read: it kinda sucked); today, however, it has been updated to v2.3 which brings a new Holo UI, along with a few new features. It's the big UI update! * Action Bar added for easy access to common actions. * Use the Menu Drawer to quickly navigate to other areas of the app. Just tap the arrow in the Action Bar or swipe to reveal the menu. 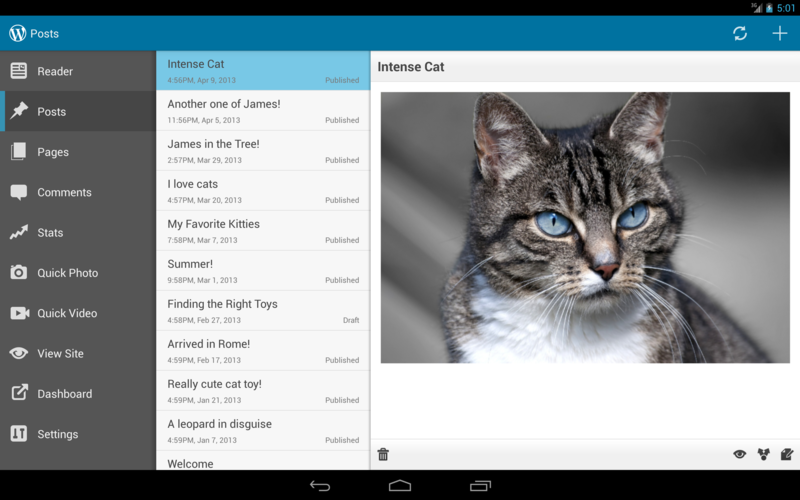 * Holo style used throughout the app. * Use the 'View Site' feature to view and share content on your site. * WordPress.com users can now view the web dashboard (wp-admin). 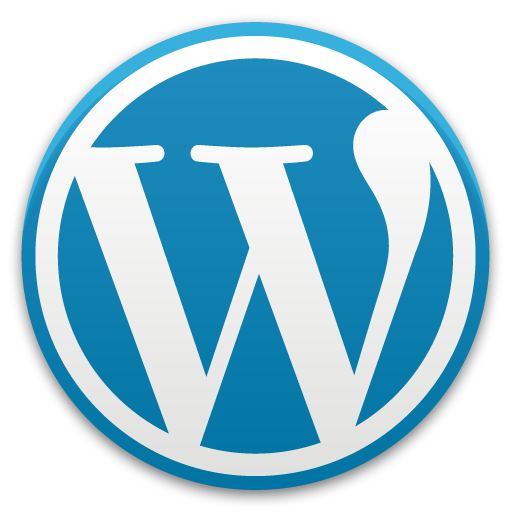 * The WordPress.com Reader now takes advantage of caching for faster loading. Aside from the new UI, action bar, and menu drawer, the app now offers a feature that lets users view content on their site, as well as gives WordPress.com users access to the web dashboard. 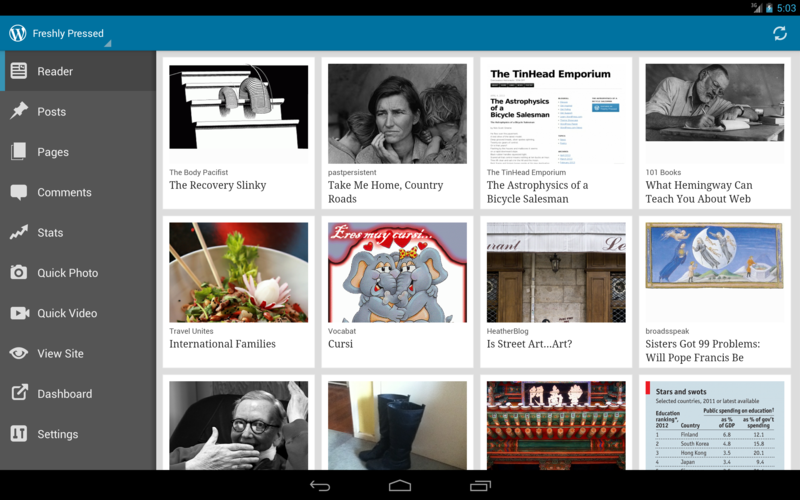 For those who use the Reader feature, it now loads content faster. If you use WordPress at all, this is definitely an app to have installed. Head below to grab it.